With Equinox, we bring you a stunning new range of modern, visually appealing, modular bedroom furniture available in two innovative designs – Galaxy and Brentford. Furnishing volume-accommodation residential quarters requires the perfect balance of durability, style and quality. We have created and designed Galaxy and Brentford ranges across an extensive range of models. Whether you need to furnish care homes, key worker accommodation, student accommodation, medium secure accommodation and more, Equinox gives you a choice of fresh, new, stylish bedroom ranges. Our two unique designs are available in three new, luxurious framework finishes – Aragon Oak, Tobacco Walnut, and Romana Cherry. Galaxy and Brentford can also be complemented with six visually stunning fronts for doors and drawers and these are Aubergine, Lime, High Gloss White, Dakar, Lava and Matt White. Simplicity can so often drive beautiful design and Galaxy is a perfect example. Using a simple pure colour design, Galaxy exhibits a very tight wrapped profile and is available in matt or high gloss finish. What you’ll get is a clean seamless front, and one that can be easily maintained thanks to its completely sealed membrane. 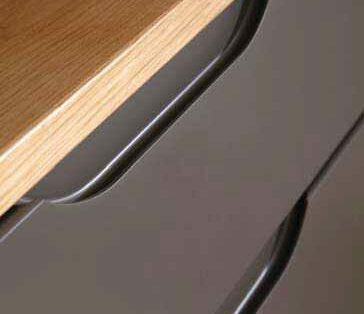 Brentford is aimed at the medium-secure end of the market and is available with square or rounded corners on all tops. With Brentford, our designers have created a range that has the handles built-in to the furniture doors and drawers, demonstrating clean and precise design. 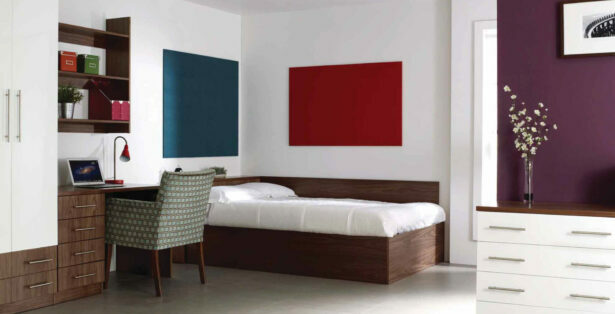 It is also available in matt or high gloss finish and comes with a completely sealed membrane.